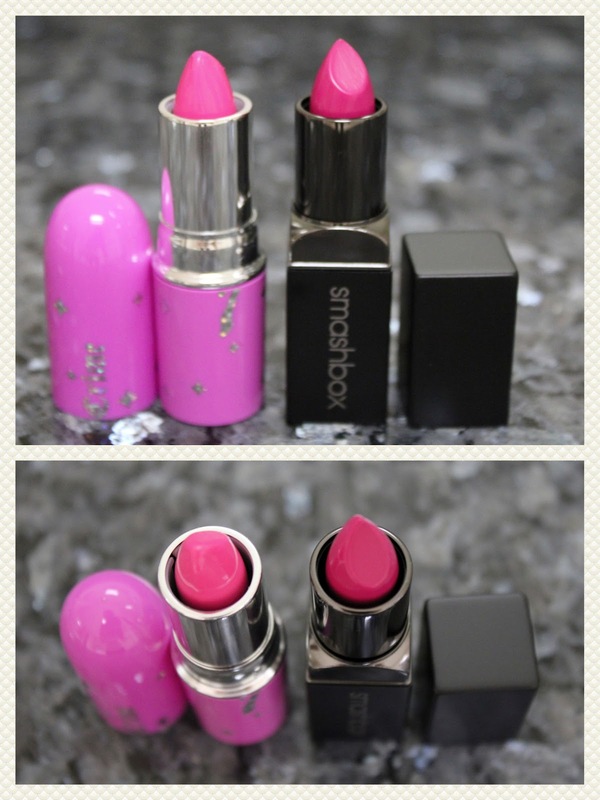 Here are the other two Hot Pink lipsticks I mentioned I would post. The Lime Crime is definitely Bright. 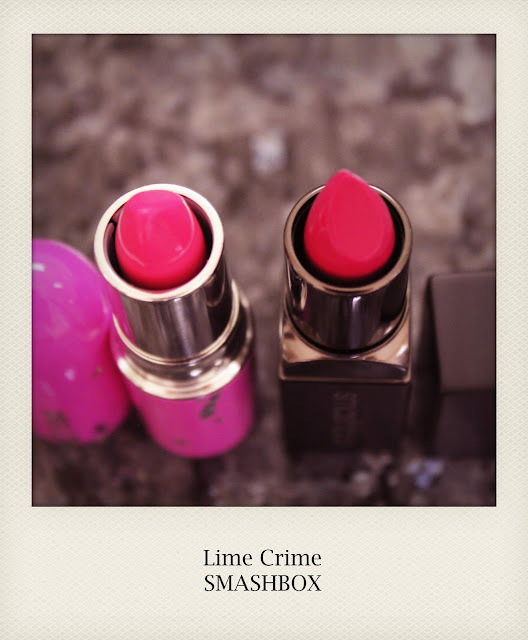 I think that the SMASHBOX reminds me of M.A.C. Girl About Town.